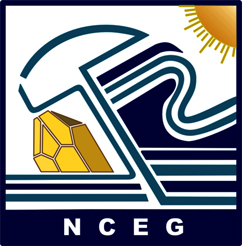 Established under Parliament Act 1974, the National Centre of Excellence in Geology, University of Peshawar is the leading Earth Sciences Research and Higher Education institution in the country. The Centre offers post-graduate study programs including Ph.D, M.Phil, MS and Post-Graduate Diploma (PGD) awarded by the University of Peshawar. A host of state of the art research laboratories including Electron Microprobe, XRF, XRD, Wet-Geochemistry, GIS/RS, GPS Geodesy, Petroleum Geochemistry, Hydrogeophysics and Petrography/Microscopy cater needs of Academia and Industry. Centre has published over 590 Research Papers, 12 Books and 6 Coloured Geological Maps, along with Center's annual research journal: "Journal of Himalayan Earth Sciences". Government of Pakistan has awarded the Center's faculty with 4 Civil Awards (Sita3ra-i-Imtiaz (2), Tamgha-i-Imtiaz (2)) and 3 Presidential Awards (Izaz-i-Fazeelat). Along with Centre's faculty is awarded: Commonwealth Fellowship (2), Fulbright Fellowships (7), Pakistan Academy of Sciences Gold Medals (3), Pakistan Book Council Earth Scientists of the Year Awards (4), as well as Star Laureate and IUCN Environmental awards.